At the age of five, a car accident left Antony Smyth with a paralysed arm. 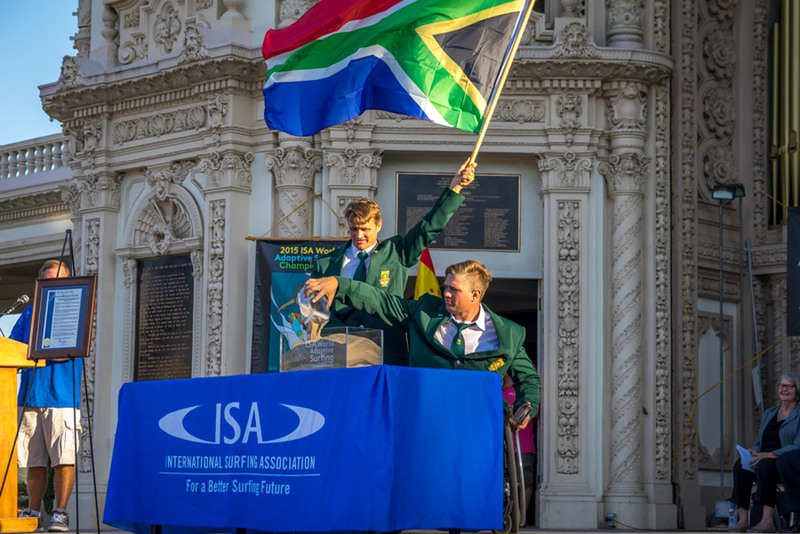 This weekend he becomes the first captain for South Africa at the inaugural World Adaptive Surfing Championship in California. 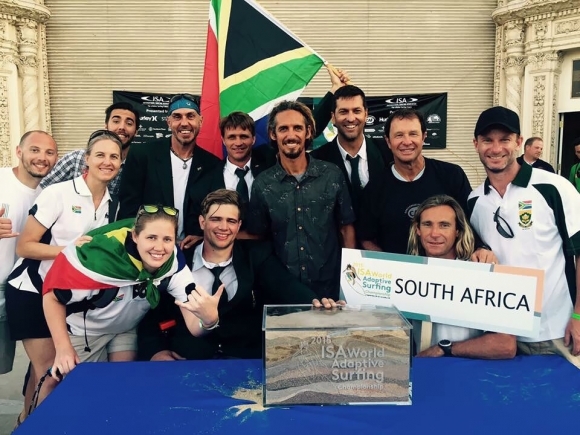 The South Africans - Smyth (Hout Bay), Dries Millard (Langebaan), Jean Paul Veaudry (East London) and Bruce Campbell (Durban); and contest judge Bongani Xulu (Ballito) - have overcome various disabilities to become the first team to represent their country in adaptive surfing. "They are all incredible people and athletes. We are up there with the best in the world and I believe we have a shot at gold," Smyth said from La Jolla beach near San Diego, where 65 athletes and officials from 17 countries are participating. The medical term for the injury he suffered as a youngster is termed Brachial Plexus. “I cannot move my fingers, hand or wrist. I have no rotation or extension ability in my elbow or upper arm," he said. Team mate Millard has been a paraplegic since he was 18, also from a car crash. 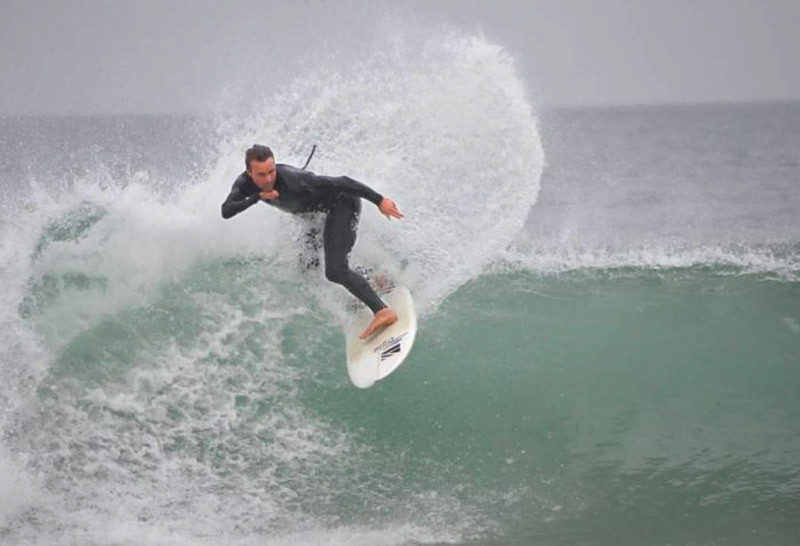 The accident left him with little chance of surfing again, but he joins his comrades later today to officially receive his national colours from SA surfing legend Shaun Tomson. Millard is well known for his travels around South Africa introducing the sport to the physically and mentally challenged. During his roadshow, he surfed 35 of the country’s best waves while raising funds for the team to travel to this event. The South African team have endured difficulties enroute to the event when luggage was lost and Millard's board was badly dinged on the flight over. Festivities began yesterday with the opening ceremony and nations parade, followed by an Adaptive Surfing Clinic at La Jolla Shores, held in sunny conditions and glassy waves and attended by surfing legends Shaun Tomson and Rob Machado. 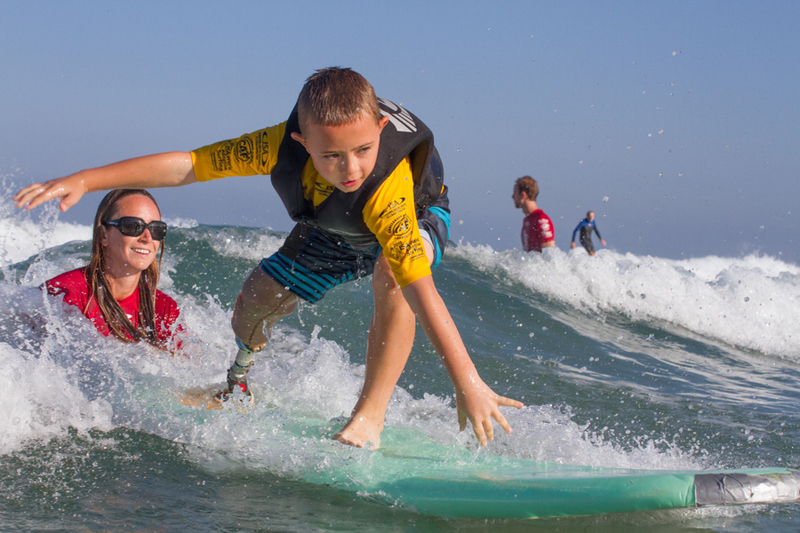 Tomson, who lives in San Diego, chairs a 30-member Honorary Adaptive Surfing Committee comprising prominent business and surfing personalities, including Machado and the Mayor of San Diego, Kevin Faulconer. Adaptive surfers of all ages gathered at the clinic with some of the world's best adaptive surfers. Joining the clinic was Tim Foreman and Chad Butler from Grammy-award winning rock band Switchfoot and Stance athletes Tanner Rozunko and Brian Bent. President of the ISA Fernando Aguerre said the "seeing the smiles on the kids' faces after catching a wave is so inspiring. Some of these kids have never experienced Surfing before; it is incredible to witness the energy and healing power that the ocean provides them." Wavescape spoke to Smyth from California yesterday. What age were you when you started surfing, and where was your first ever wave? I was six when i rode on my first proper surfboard. My parents encouraged me to give it a try thinking that it would help with mobility and that it would force me to use my right arm. It didn’t work. I just paddled out with one arm! My first ever wave was at Drakes Bay, on the KZN South Coast (where we lived), and not far from T.O. Strand. My sister Sandy had a boyfriend who just pushed me into a little foamy and instead of kneeling (which he suggested), I just stood up. I remember that with crystal clarity. What limitations do you endure with this disability? I don’t see myself as limited. My biggest challenge is helping other people deal with my disability. How do you manage your body with this sort of disability? I have to manage the imbalance in my muscular formation and I do this by daily and specific exercises to build up the areas that are weak. And I just eat well and keep fit. I owe that to myself, my wife, Bev, and God. I received my body in good condition, and now respect it enough to keep it that way. My parents, Anne and Peter Smyth. My disability was much more difficult for them that it was for me. I know that now. They dealt with it perfectly. Dad, I wish you could see me now! What does it mean to be part of the South African Adaptive Surf Team competing in the first ever World Champs? This is a dream come true. I don’t think I have yet appreciated how big this really is. For now, I am honoured and grateful. We have a great team here - Dries Millard, JP Veaudry, Bruce Campbell as adaptive surfers, and Bongani Zulu (as a judge) - all incredible people and athletes. We are up there with the best in the world and I believe we have a shot at gold. Whats your message to anyone who wants to start surfing - disabled or not? Surfing will change your life for the better. It will turn you into an adventurer, a weather watcher, a hydro dynamics expert, a wind and swell expert and a lover of nature. It will introduce you to seals, dolphins and whales and a whole different world of the sea. It will make any disability seem less important.